Avaaz - Graham Edwards: Divest from MRC! 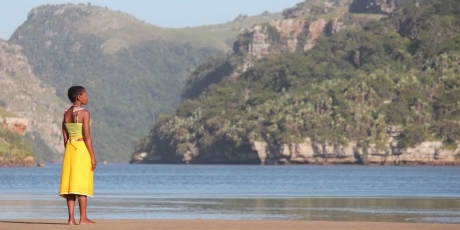 As citizens from around the world, we are outraged at MRC's attempts to mine titanium on South Africa's Wild Coast, despite the clear objections of the local Amadiba community. We also deplore the ongoing violence and intimidation surrounding the project -- culminating in the recent assassination of community leader, Sikhosiphi Rhadebe. As the major shareholder in MRC, you have the power to put a stop to the mine and the murder. We call on you to divest all shares in MRC owned by the entities you control before the company's Annual General Meeting in May. It’s like the script from a movie, only it’s real. On the remote and stunning Wild Coast of South Africa, the local Amadiba community is bravely standing up against an Australian mining giant trying to pillage their land. Now, charismatic community leader, Sikhosiphi Rhadebe, who urged non-violence, has been brutally assassinated. The mining company, MRC, denies any involvement, but this is just one incident in a long line of violence and intimidation that has been linked to MRC’s partner organisation in South Africa. The community itself has been abandoned -- by corrupt local police and South African politicians with vested interests. But our global movement, together with the influence of one man, can change everything. Enter British millionaire, Graham Edwards -- the major shareholder in MRC. Edwards is CEO of one of the UK’s largest property companies, a board member of several prominent charities, and sensitive to his public image. A million strong global call linking him to the violence in South Africa, together with mass media coverage and billboards outside his London office and his new mansion overlooking Sydney’s Harbour Bridge, can force him to divest from MRC and deal a body blow to the company’s plans in the Wild Coast and around the world -- sign now.